They can break down their equipment following the performance. The cocktail reception, which you would be playing for, will last about 1 1/2 hours. Arriving on the music scene in the late 19th century, Mariachi Bands brought an upbeat yet traditional sound to Mexican culture. With a blend of guitars, violins, trumpets, the guitarron, and the vihuela, Mariachi music can truly liven up a party! The upbeat authentic Mexican folk music is the perfect accompaniment for wedding receptions, Cinco de Mayo parties, and so much more. 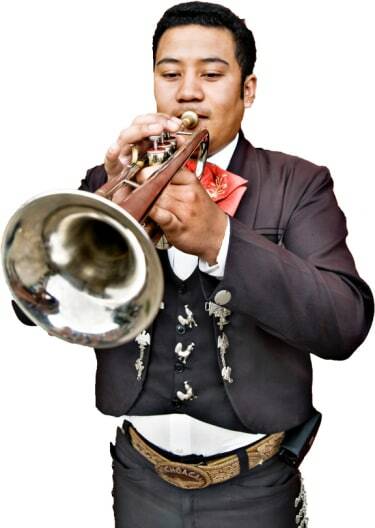 Search for Mariachi Bands in Burlington, Ontario above. Please note that these Mariachi Bands may also travel to Kilbride, Burlington, Burlington, Hamilton Beach, Bronte, Waterdown, Palermo, Millgrove, Stony, Stoney Creek, Kilbride, Oakville, Carlisle, Dundas, Winona, Milton, Alberton, Freelton, Ancaster, Orton, Campbellville, West Flamborough, Puslinch, Moffat, Clarkson, Erindale, Grimsby, Hornby, Mount Hope, and Hannon.